Research Guides to the Rescue! 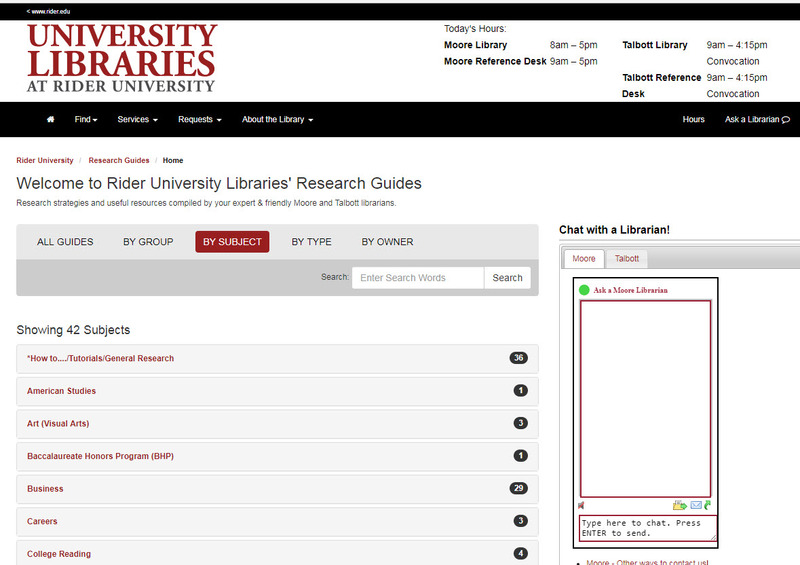 Rider University Libraries subscribe to over 100 databases, where you can find citations and obtain access to reliable, quality, and proprietary information, popular, trade, and scholarly. 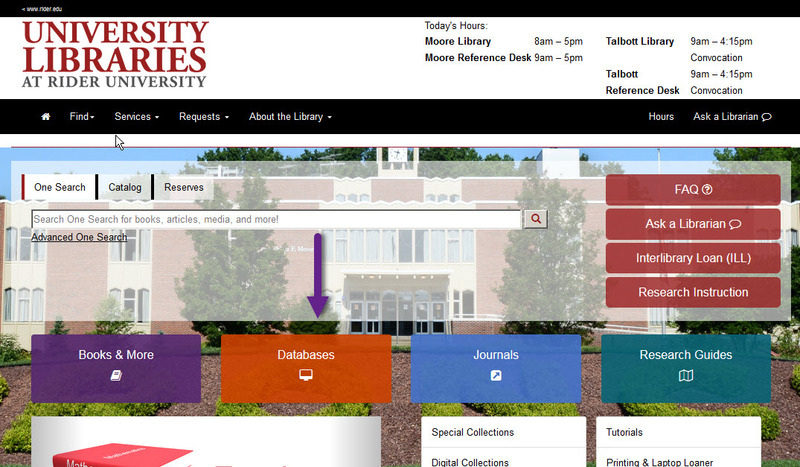 From the Libraries' homepage select the "Databases" button. OR click choose Databases link under "Find" in the menu bar at the top. 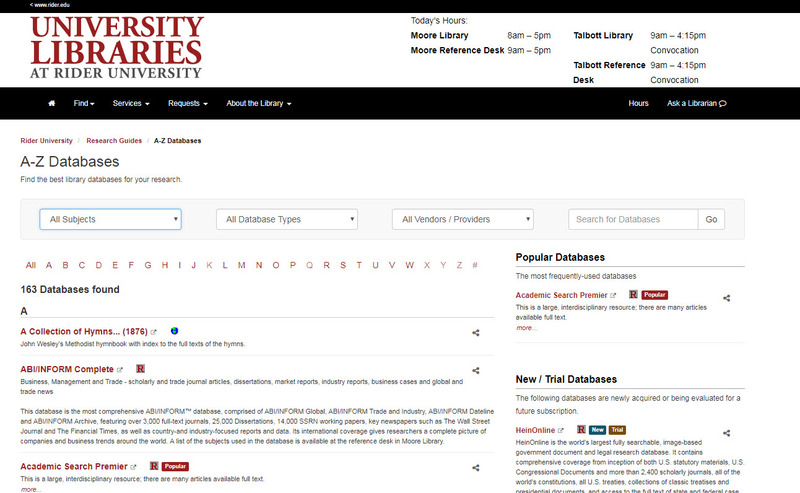 From here you can browse databases by Subject or Alphabetically. For more guidance on the best databases for your topic, visit a Research Guide for your subject/discipline. << Previous: What is a Library Database?